Ожидания от рынка нефти на ноябрь. Рассмотрим детальнее. The main oil brands – Brent and WTI are in a steady downward trend starting from October. The downtrend remains very rapid also, indicating oversold of oil for a long decline. The reason for the October decline is a number of fundamental factors. The US trade war. Trump’s administration does not benefit from expensive oil as part of the US trade opposition, mainly against China, and the goals of returning production to the US. It will provide significant support to the US dollar in addition to slowing economic growth. It is also not very desirable against the background of an already expensive US dollar. These statements confirm that in early October the United States even considered the possibility of easing sanctions against Iran, which will come into force in early November. But they managed to find an alternative in Saudi Arabia, which agreed to compensate for the lack of supply, formed due to the sanctions against Iran. At the same time, with the increase in oil production in Saudi Arabia, everything is also not so simple. 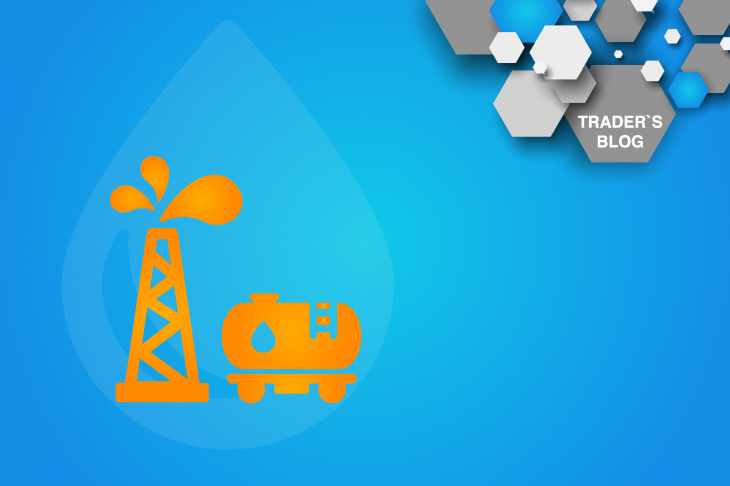 Technically, it is not easy to increase the volume of oil production by 10-12 million barrels per day. And do not forget about the political scandal with the murder of journalist Khashoggi in the embassy of Saudi Arabia. According to preliminary information, they are going to write off this murder as a result of a scuffle. In fact, it does not matter if Saudi Arabia is able to compensate fully Iran’s proposal or not. The main thing is for the Saudis to start producing more oil, and after them other OPEC members and Russia will follow, who will chase after the released market share. Separately it is worth noting the increase in oil production in the United States and Trump’s comments aimed at increasing production and reducing the cost of oil, that will regain even greater influence on the oil market, against the backdrop of political friction in OPEC. Technically, the main oil brands are traded in a well-established downtrend, whichthat looks like a full-fledged downward dynamics, and not as a correction against September growth. At the same time, the minimums at 75.00 for Brent and 66.00 for WTI look very significant, fixing below which in the first half of November will open the way to such significant support: 74.00-73.80 and 72.00 for Brent and 64.50 and 63.00 for WTI. At the same time, the change in sentiment on stock markets and geopolitical risks remain as limiting factors for reducing oil. Of particular note is the policy of oil production in the United States and OPEC.